Every time we travel to Napa we make a point to drive to the Alexander Valley AVA in Sonoma. 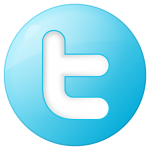 There are many great wineries and the quality of the wines are very good. The history of Alexander Valley dates back to 1841 when Cyrus Alexander arrived in an untamed valley to manage the Sotoyome Rancho, a Mexican land grant owned by San Diego sea-captain Henry Delano Fitch, and his wife, Josefa Carrillo. As payment for his services, Alexander received 9,000 acres on the eastern side of the valley, where he built his home. A tireless innovator, Alexander planted an orchard, constructed a tannery, and built the first grain mill in the area. He also planted a vineyard. In the three decades following the Gold Rush of 1849, the population of Alexander Valley grew quickly. By 1875, 230 acres were devoted to vineyards. Over the next half-century, more settlers discovered this rich land and good timber. Early residents planted wheat, grazed livestock, and grew fruits and vegetables. Early accounts of valley life include idyllic recollections of horseback trips, fishing in the river, and social activities such as dances and barbecues. Labor intensive, prone to weather damage, and vulnerable to price competition from elsewhere, prunes gradually gave way to grapes. Family wineries and grape growers suffered during Prohibition but began to plant grapes again in the middle decades of the 20th Century. Nearby Healdsburg, formerly known as “The Buckle of the Prune Belt,” is now a genial gateway to a world-class wine region. Alexander Valley received formal recognition as an American Viticultural Area (AVA) in 1984, and today 15,000 acres are planted to premium wine grapes. The valley is more civilized now than in the days of Cyrus Alexander, but our connection to the land remains strong and genuine. Once in a while, above the old homesteads on the eastern slopes, you can see the track of a bear, who lumbered down from the hills overnight to taste a few sweet grapes. 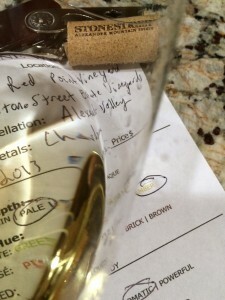 The Red Point Vineyard is part of Alexander Valley and is sourced from 850 to 1,000 feet. Aromatic, young-fruity with citrus notes, apple, melon, pear and buttery. Dry, medium-bodied with balanced acidity. Rich crisp with a mid-palate long finish. 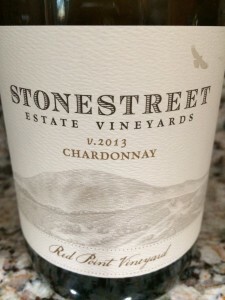 I rated the 2013 Stonestreet Estate Vineyards Red Point Chardonnay three glasses. Both Chris and I enjoyed the Chardonnay.